In one harrowing day, Viking raiders capture Bree and her brother Devon and take them from their home in Ireland. After the young Viking prince Mikkel sets Devon free on the Irish coast far from home, Bree and Devin embark on separate journeys to courage. Readers will be captivated by the unfolding drama as Bree sails to Norway on the Viking ship and Devin travels the dangerous road home. They both must trust their all-powerful God in the midst of difficult situations. 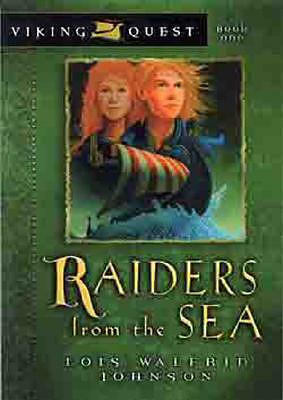 Raiders from the Sea by Lois Walfrid-Johnson was published by Moody in September 2003 and is our 21681st best seller. The ISBN for Raiders from the Sea is 9780802431127. Be the first to review Raiders from the Sea! Got a question? No problem! Just click here to ask us about Raiders from the Sea.